At the moment there might be 10 million different versions of Bing because of A/B testing with algorithms and their results in realtime, so even if we engage systematically with Bing for research purposes, which Bing are we talking about? Algorithms also change over time as Facebook and their EdgeRank algorithm are constantly in motion: You cannot step into the same Facebook twice. Some researchers argue that the solution to knowing the algorithm is “behind the wall” and that we can only explain “the outside” or the workings of the algorithm if you have access to the “inside” or the formula. But, Seaver argues, there is no “inside” the algorithm and there is no “knowing” the algorithm without understanding the context in which algorithms are made. We have to understand the context algorithms are created in, which may serve as moments of stabilization as social details become translated into technical details. 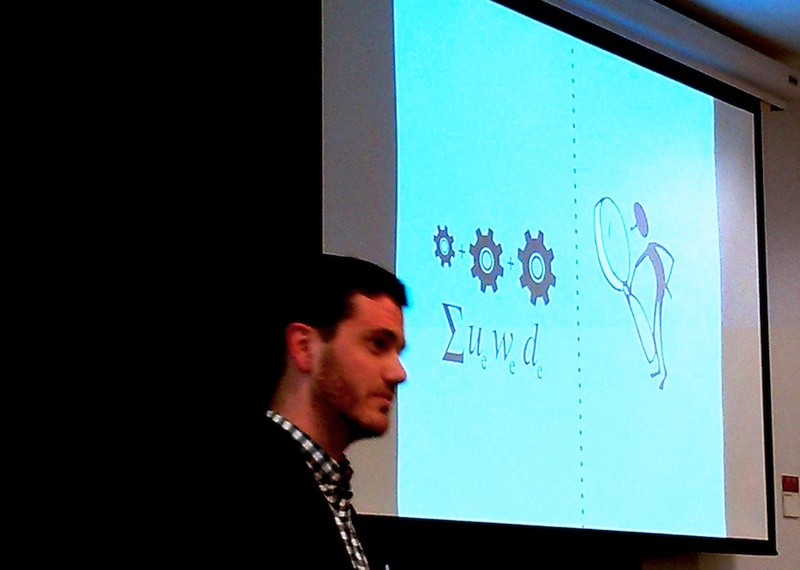 Therefor, Seaver wants to do an ethnography of engineers to get to know the algorithms. During the panel discussion Nancy Baym states that we are talking about “the” algorithm, indicating a singular and stable object, while it has become clear that we may be talking about 500 different algorithms, created by 1000 different engineers. 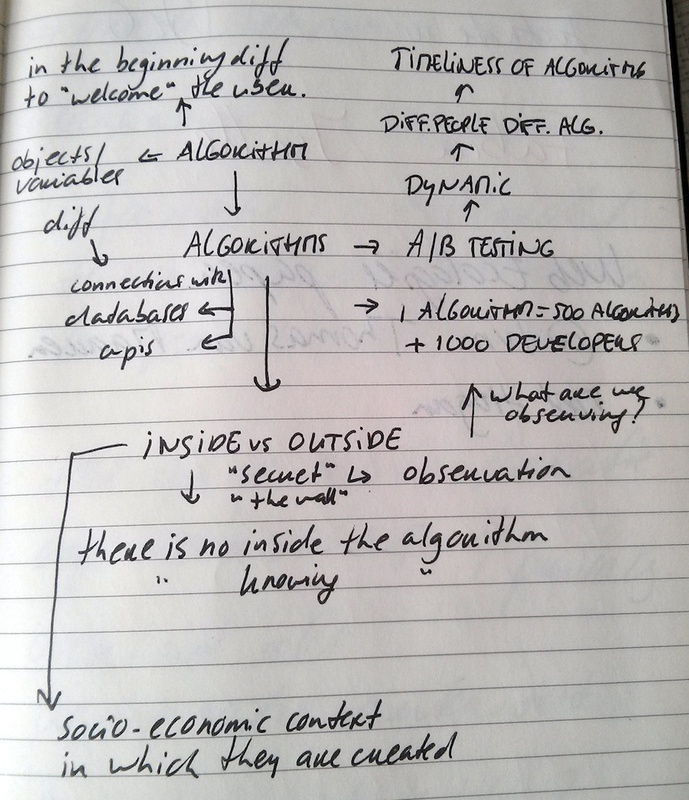 Should we talk of algorithmic systems instead of algorithms? This may be a good way into discussing the various objects and variables within algorithms that may each be connected to different databases (through APIs) and therefor become part of various algorithms themselves.